To honor the spirit and legacy of the late educator, historian, longtime Nichi Bei Times / Nichi Bei Weekly contributing writer and Nichi Bei Foundation founding board member Wayne Maeda, the Nichi Bei Foundation established the Wayne Maeda Educational Fund to help fund educational programs within the community, such as our annual Films of Remembrance event in February and our Nikkei Angel Island Pilgrimage in October, our educational publications and other programs and operating expenses. The Films of Remembrance, which educates the public on the Japanese American incarceration in World War II American concentration camps while helping to empower filmmakers, has more than 700 annual participants. The Nikkei Angel Island Pilgrimage, launched in 2014 with more than 650 participants from around the world that first year, has reconnected more than 1,300 people in total to the Japanese American legacy at the Angel Island Immigration Station over the past three years while helping the community learn more about their family histories. In October of 2017, the Nichi Bei Foundation launched a pilgrimage to the site of the former Wakamatsu Tea and Silk Farm Colony, the first sizable settlement of Japanese in America, utilizing four buses from throughout Northern California. 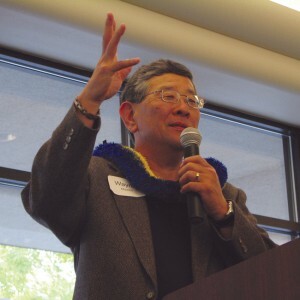 Wayne Maeda was a founding board member of the Nichi Bei Foundation, which was established in July of 2009 as an educational and charitable nonprofit organization, primarily to publish the first nonprofit ethnic community newspaper of its kind in the country, the Nichi Bei Weekly. 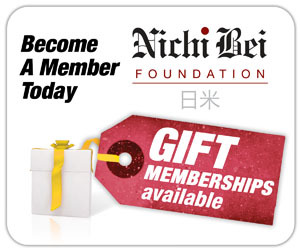 Rising out of the ashes of the historic Nichi Bei Times, with a legacy going back to the Nichi Bei Shimbun community newspaper established in 1899, the Nichi Bei Weekly’s mission is to keep the Japanese American community connected, informed and empowered. 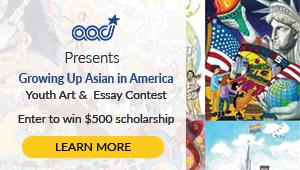 But some 40 years earlier, Wayne Maeda was a founding faculty member of the California State University, Sacramento Ethnic Studies Program — one of the very first such programs in the nation. A dedicated scholar, he curated the landmark 1992 Sacramento History Museum exhibit, “Continuing Traditions: Japanese Americans, Story of a People, 1869-1992,” and authored the book “Changing Dreams and Treasured Memories: A Story of Japanese Americans in the Sacramento Region” (2000). He was also a board member of the California State University, Sacramento Japanese American Archival Collection Advisory Board, the National Japanese American Historical Society, Jan Ken Po Gakko and the Wakamatsu Gold Hill Colony Foundation. Wayne Maeda was the longest-serving Nichi Bei Times/Weekly contributing writer, writing dozens of book reviews over 17 years. Sadly, he lost his bout with cancer on Feb. 27, 2013 at the age of 65, with his wife Lorrie Toohey Maeda also passing away from cancer only three days later. The Nichi Bei Foundation is an exempt organization under Section 501(c)(3) of the U.S. Internal Revenue Code, tax ID number 27-0700443. 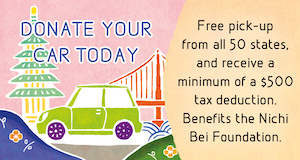 Your donation is tax-deductible to the full extent permitted by law.